Starting at $69,200, the new Mercedes-Benz CLS is available in three exciting, well-appointed trim levels. Although each trim brings something unique to the table, all three models deliver turbocharged power, excellent fuel-efficiency, and ultramodern technology. Equipped with four doors and seating for five passengers, the CLS Coupe is as accommodating as it is dynamic. 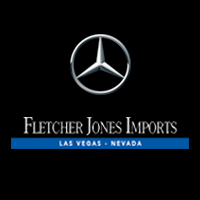 Drivers in Pahrump, Summerlin, and beyond should head over to Fletcher Jones Imports in Las Vegas for a look at our inventory of stunning CLS models. The most fuel-efficient CLS — the entry-level RWD CLS 450 — earns a 24 mpg city/31 mpg highway rating. The top-tier, performance-focused AMG® CLS 53 with AMG® Performance 4MATIC®+ all-wheel drive lands a solid 21 mpg city/27 mpg highway rating. Test Drive the 2019 CLS at Fletcher Jones Imports in Las Vegas! The 4-door Mercedes-Benz CLS is a refined coupe, perfect for both comfort- and performance-oriented driving. Our staff is available six days a week, so schedule a test drive at your earliest convenience. To ensure your CLS remains in peak condition years after your purchase, don’t hesitate to ask about our Mercedes-Benz repair and maintenance services!